Our storyteller Colin Wesaw tells us that counting coup was an act of bravery in the face of an enemy. Wesaw says he likes to tell the stories that "carry values in life" and "to bring it back to our people." Colin Wesaw is a tribal elder leader with the Pokagon Band of Potawatomi and was recently elected to be the elders' representative for the tribal council. 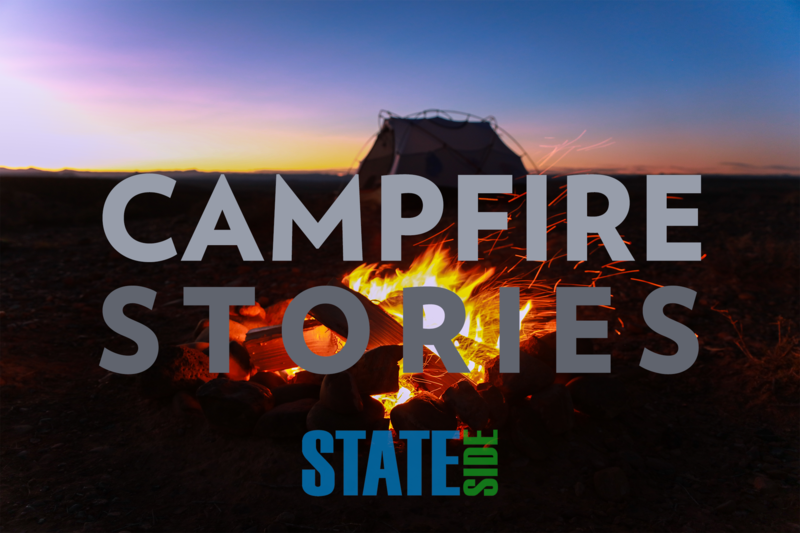 Jenifer Strauss tells the classic campfire story "Bloody Mary"
Stateside returns with another campfire story told by Jenifer Strauss, a professional storyteller based in Traverse City. Colin Wesaw tells the story of "The Boy and the Snake," which he tells at Kë Gbéshmen Camp in Dowagiac. Each year, Native American kids can enjoy a cultural summer camp experience at the Pokagon Band of Potawatomi's Rodgers Lake campus. Many of the camp activities are built around cultural teachings, and a big part of that is telling stories passed down through generations. Colin Wesaw is a tribal elder and leader in the Pokagon Band community. He often tells stories at Camp Kë Gbéshmen in Dowagiac. The 63-year-old started telling stories when he was just 18. He joined Stateside to talk about the importance of stories, and to share a tale about making choices. A ghost story told by J. Berry, from Interlochen Center for the Arts. There are some classic campfire stories we hear again and again, like Bloody Mary or the hitchhiker. Then there are stories unique to the place they are told. Stories where the long-last camper or escaped madman is roaming around your lake, or where the ghost mentioned may be in your cabin. That’s the kind of story J. Berry, manager for instrument services at the Interlochen Center for the Arts, tells us. A campfire tale from Jenifer Strauss, a professional storyteller who spent her childhood summers at Tamarack Camps. There's something about the a crackling campfire and the looming mystery of a nighttime forest that creates the perfect atmosphere for telling a special kind of story. Some campfire stories aim to send a shiver down your spine. Others seek to remember a past moment in history or teach a good life lesson. With that tradition in mind, Stateside will be bringing you a series of stories this summer perfect for your next bonfire.